Google is well underway to dominating the smartwatch market with Android Wear, so the inevitable competition from Apple must be just around the corner, right? Right? Not according to a report on money.udn.com, a Chinese site that says the rumored iWatch has been delayed until the fourth quarter of 2014. Not only that, but apparently iWatch shipment projections have also been "severely" revised from 20 million expected to ship by the end of the year to just six million. Now that's just bad news all around (unless your name is Google, Motorola, etc.). It should be noted that these conclusions have been drawn from some nimble guesswork, however certain its sources may be. The "delayed" bit comes from Chinese manufacturer TPK, which is apparently supplying parts for the iWatch. The firm had high Q3 2014 profit projections when it expected the iWatch to ship this quarter, but apparently those Q3 projections have fallen while Q4's rose. Thus it's believed the iWatch release date has been moved to next quarter. Hong Kong investment banking firm CLSA agrees, and further, it's also the source of the revised iWatch shipment expectations. 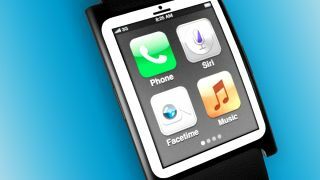 The bottom line: these Asian sources, who seem to have more information about Apple's plans than your average Joe, believe the iWatch will launch late in 2014, and that Apple will ship just six million of them. We'll see how it all plays out in the end.